A freelance writer currently residing in Melbourne, with a penchant for sugar, spice, and everything nice. Fitzroy and Brunswick Street have always been notorious for their numerous trendy café's and restaurants, making it a central attraction for foodie lovers such as myself. Atomica Caffe is one of the area's little treasures; it is a place brimming with character, and is always buzzing with life. The café itself is steeped in history; operations began in 1996, and the café has since then been serving happy customers with quality food and fresh coffee. 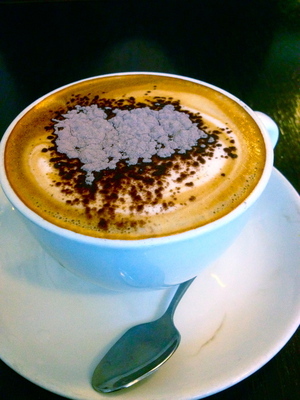 In fact, Atomica was the first café in the area to roast coffee beans on its premises, making it a pioneering legend. Atomica Coffees utilize only the highest quality Arabica beans, and is roasted to order twice weekly for optimum freshness, perfect for coffee aficionados. One of the best feelings in the world is waking up early on a weekday morning, and stepping into a café like Atomica where the aroma of coffee abounds. The interior of the café is quite spacious, and the surrounding decorations, though minimal, give it a retro, antique kind of vibe. Chalkboard menus are tacked onto the upper wall, which lists the variety of food and drinks offered here, including a specials board that is updated every now then. There is a glass display of an assortment of tempting desserts such as carrot cake and caramel slices, which is hard to resist. I could feel saliva gathering in my mouth just staring at the sweet treats. My love affair with brunch began when I had my first French toast with bacon, and it has been a favorite of mine ever since. 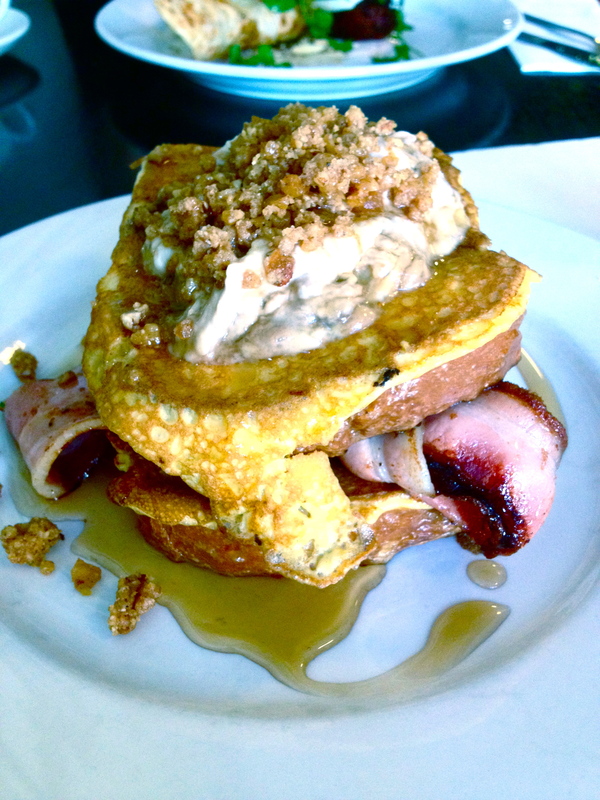 Lucky for me, Atomica offered an enticing brioche French toast with banana mascarpone, bacon and praline, which immediately caught my eye. A friend of mine opted for a savory dish-Mediterranean eggs with Turkish bread, which was on special. The meal was very fulfilling, and hit all the right spots. Brioche was thick but light, bacon was crispy, and banana mascarpone was delicious. The wait staff was extremely pleasant, and service was delivered promptly with a smile. Though there were few people in the café, the atmosphere was fun and lighthearted, as the barista and waitresses sang and bopped along to the tunes playing in the café. Atomica Caffe is a place that ticks all my boxes for a friendly brunch place with quality food and coffee.